If you are looking to leverage the power of the Internet to help grow your business, one of the first places I’d suggest that you look is HubSpot. However, you don’t need to be a paying customer to benefit from HubSpot’s expertise. HubSpot provides many free resources that your business can use to keep up with the latest inbound marketing trends and best practices. Since then, I have learned a lot from HubSpot’s many white papers, webinars and blog posts. HubSpot also speaks at, sponsors and participates in various industry conferences and events, including OMMA Global, PubCon, Business of Software, Online Market World, Search Engine Strategies, SMX, Venture Summit, Inbound Marketing Summit, etc. In fact, earlier this year I attended an AMA Tampa Bay event that featured HubSpot’s Ellie Mirman. As you would expect, it was a very informative event. Recently, I earned my Inbound Marketing Certification from the Inbound Marketing University after completing its comprehensive Internet marketing training program. The training program currently includes 18 in-depth classes covering each facet of inbound marketing. The courses are taught by some of the most respected names in Internet marketing today, including New York Times’ best-selling author Chris Brogan, Google Analytics Evangelist Avinash Kaushik, best-selling author and international speaker David Meerman Scott, best-selling author and co-founder of Alltop.com Guy Kawasaki, and more. To earn the Inbound Marketing Certification, students must pass the comprehensive certification exam that includes 50 multiple choice and true & false questions. In order to earn the Inbound Marketing Certification, the student must receive a score of 75% or higher on the comprehensive certification exam. The Honors Distinction is awarded to the top 15% of exam takers. To receive this honor, test takers must earn a score of 90% or higher. The Inbound Marketing University training program is administered by HubSpot. And, the best part… both the training and certification are completely free. For more information, visit inboundmarketing.com. 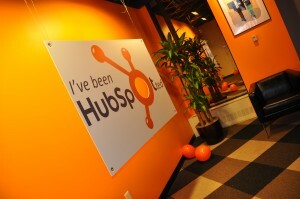 As I mentioned earlier, I have been a fan of HubSpot since the summer of 2009. They are a very respected company that definitely delivers value to their customers. However, as I mentioned before, you don’t need to be a paying customer to gain from HubSpot’s expertise. Chances are that your business could benefit from the wide range of free resources that are available from HubSpot, including their many webinars, white papers, and blog posts. Futhermore, even if you don’t take the certification exam, HubSpot’s Inbound Marketing University is definitely worth the time and effort. And, it’s free. So what are you waiting for? Head over to hubspot.com to find out more information. Photo credit: jameskm03 on Flickr. I’ve been posting on this blog for about five months now. However, I decided to start blogging a year earlier. In the year leading up to the formal launch of 1911mainstreet.com, I spent some time reading other blogs and posts on social networking sites. In that time, I came to a few conclusions about what I think makes a blog valuable and what I want to accomplish with this blog. One of the things that I noticed is that I enjoy posts that are short and to the point. If you have read Seth Godin’s blog, you know exactly what I am talking about. The other thing that I have noticed is that blogs that deliver interesting insights tend to get me to visit the site more often. I have also found that I enjoy getting insights from many people. 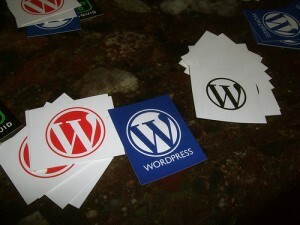 In order to do that, I rely on links from social networking sites like Twitter to point me to new blogs and blog posts. When I first decided to launch this blog, I was going to call it justevent.net. In fact, if you type in that domain name into your browser, it will take you to this blog. I had always planned on writing about marketing. The concept behind justevent.net was to point out that some of the best marketing campaigns are those that deliver value to your customers. In fact, if your marketing campaigns are really well executed, your customers will actually look forward to receiving the messages from you, no matter how they received them. Thus, the communication that they receive from you would be an “event” that they look forward to. A blog is a way to let people know what you think about a topic, or in other words, a medium to vent. Since it is online, it would also be an eVent. The “just” is in justevent.net is in the same vein as the Nike slogan “Just Do It,” meaning that it pays to get out there and try new things and find out what works. However, because I wasn’t going to focus solely on the creative side of marketing, I decided to change the title. For more information about the story behind 1911mainstreet.com, take a few minutes to read the “about” page. In my blog post, titled “In the Spotlight: Blogging Frequency,” I cited some suggestions from other bloggers that I planned to follow when I first started blogging. For example, Chris Brogan suggested creating a schedule and sticking to it. For the first two months, I did just that. However, for the last three months, I haven’t been blogging on schedule. Therefore, I plan to make an adjustment and post just two posts a week. Instead of Monday, Wednesday, Friday, I will publish on Tuesday and Friday at 3 p.m. CDT. Other bloggers suggest writing guest blog posts to get your name out there. So far, I’ve written two guest posts for the Strategy E-ssentials blog. And, I plan to write more in the future. Having a blog is a great way to share ideas with other people. For businesses, it is an important part of a good inbound marketing strategy. However, it is important to keep in mind that your readers’ time is valuable. If you are going to take the time to write something, it makes sense to deliver quality content. Otherwise, you are just wasting your time and your readers’ time as well. On the other hand, you never know what will be valuable, so it pays to try different things and see what your readers respond to. With that said, see you next week. Photo credit: nasmac on Flickr. As I pointed out in the last blog post, it is extremely important that you monitor and participate in the conversations that are going on about your brand wherever your customers choose to communicate. Therefore, I am starting the “In the Spotlight” blog post series. These posts will focus on one of the communication channels that people are using to exchange information with each other. It only makes sense that my first “In the Spotlight” post would focus on blogs. When you start any new project, I would suggest researching what has been successful with other people or businesses, before you jump headfirst into it. That’s exactly what I did. Fortunately, if you Google it, you will find that there’s a lot of great advice out there on this topic. In fact, almost every blogger has an opinion on how often you should be posting to your blog. In a recent blog post titled “On the Argument to Post Blog Content Daily”, Nate Riggs, blogger at nateriggs.com, makes a strong argument for posting daily. In his post, Nate links to a blog post written by Cheryl Harrison, blogger at beingcheryl.com, titled “On maintaining a regular blog post schedule”. In her blog post, Cheryl makes the case for posting content only when you have something worthwhile and meaningful to tell your audience. As mentioned, there are several schools of thought on blogging frequency, and the purpose of the blog definitely plays a role in the decision making process. However, I recently read an article titled “The Best Blog Posting Schedule Ever: Finally, Proof and Real Numbers!” that made perfect sense. It was written by Marcus Sheridan and posted on www.thesaleslion.com. That sounds like good advice to me. In the future, I might follow Nate Riggs’ advice, and post daily. However, I want to start off with a more realistic goal. I also hope that I can deliver valuable content every time I post, as Cheryl Harrison suggests. So, for now, I plan to start by posting on Monday, Wednesday and Friday at 3 p.m. CDT. With that said, see you again on Monday. 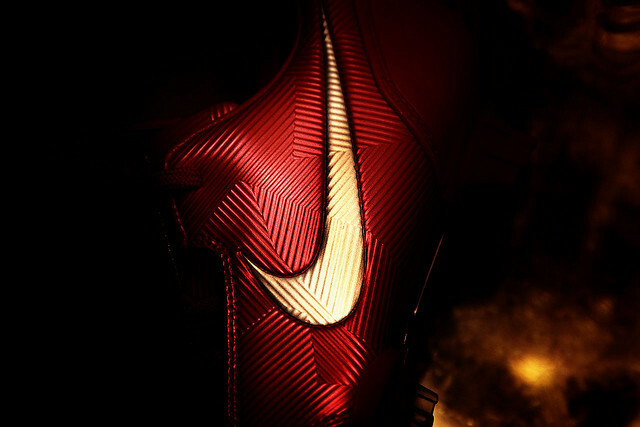 Photo credit: magerleagues on Flickr.